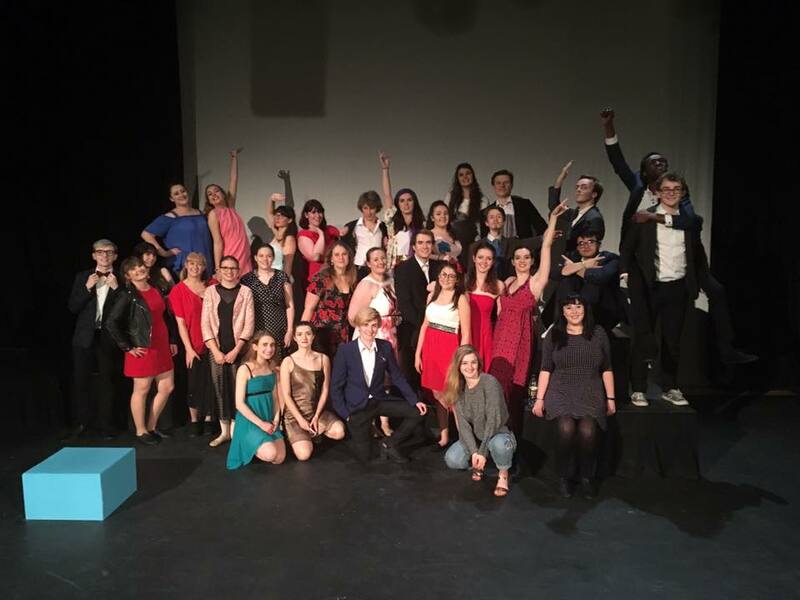 Hubbub - Bath Spa Musical Theatre Society present "Made in Dagenham"
Bath Spa Musical Theatre Society present "Made in Dagenham"
Fundraising for our end of year production! Thank you for visiting Bath Spa Musical Theatre Society's crowdfunding page for 2018! This academic year we are working towards our production of "Made in Dagenham". The musical is based around the 1968 Dagenham strikes which partitioned the fight for equal pay. We are a hardworking society and rely on self-funding in order to accomplish our goal of producing a full scale, professional production at the end of the year. Though we complete the majority of fundraising ourselves, in order to afford licensing, costumes, the costs of theatre etc. we are creating this page to help raise an extra £1000 which is needed to make "Made in Dagenham" happen! 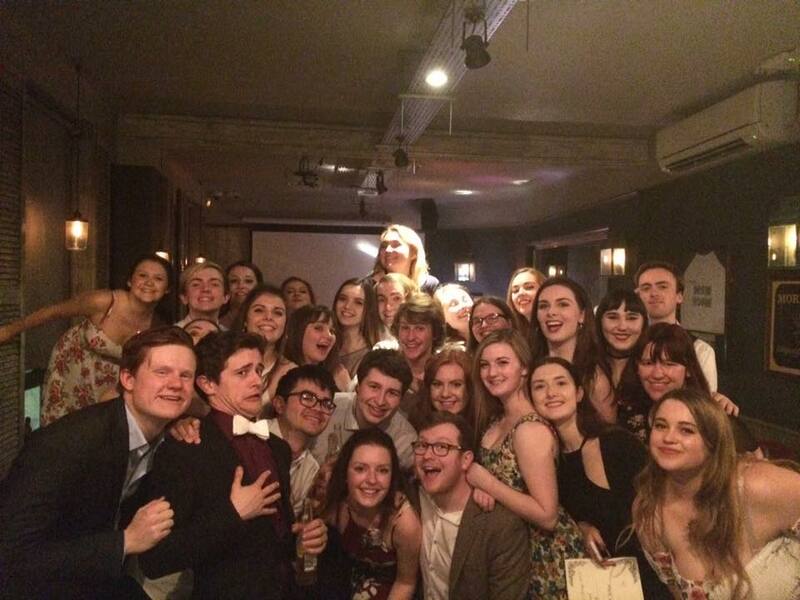 We are Bath Spa Musical Theatre Society, a student led society, in our fifth year. We are a fairly large society of about 60 members and attract students from different courses and different year groups, ranging from freshers to masters students. 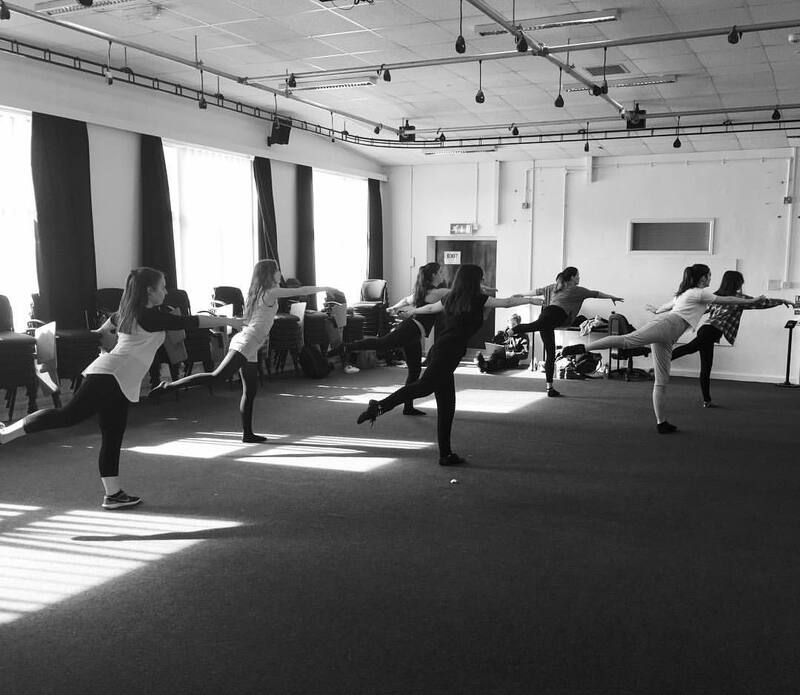 We began rehearsals at the beginning of October, after auditions and are progressing to more intensive rehearsals. 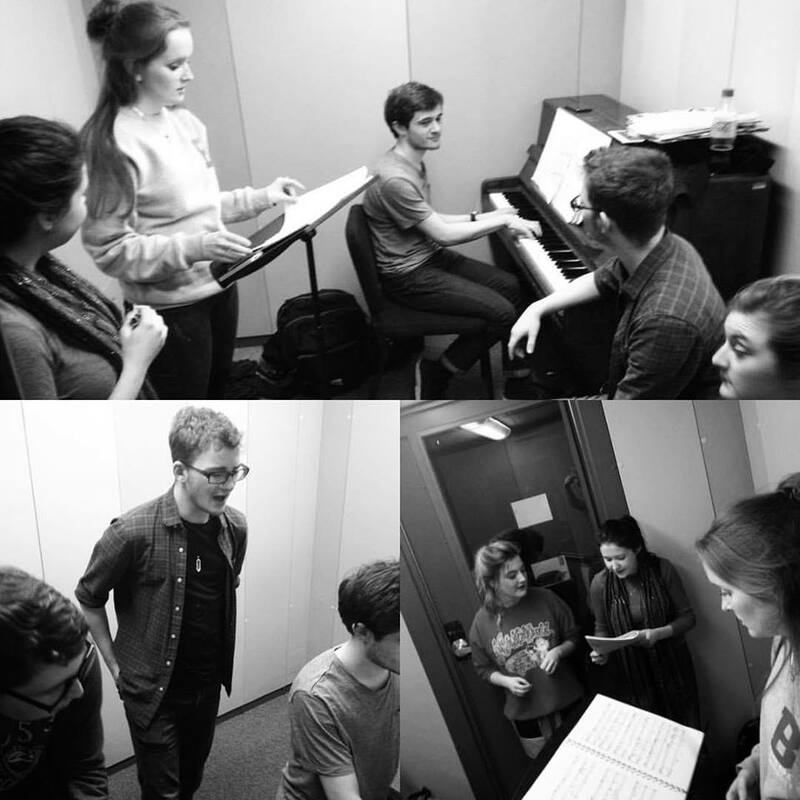 We rehearse at Bath Spa University every Wednesday evening and are beginning Sunday rehearsals, some of which in the past have lasted about 12 hours. Our members put so much time and energy into putting on a well polished performance, that we would like to match this in our costumes and set which will make this a professional production. 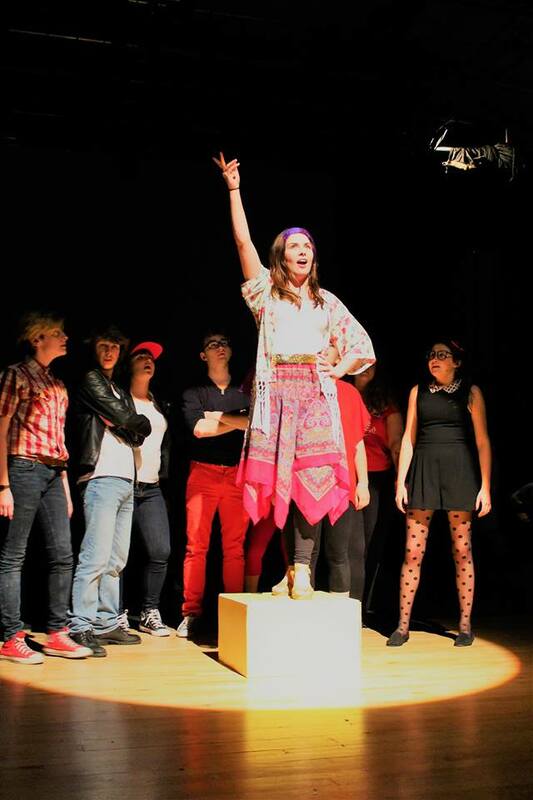 In previous years, we have performed "Fame" and "Footloose" which have been successful productions. We want to make sure that this success continues and that our society continues to have a professional name. Our society is an active and close knit group of students, all of whom enjoy being a part of the society. For several members it allows them to do something which they would not be offered as part of their course; by being given the opportunity to act, sing and dance. BSMTS also is essential in helping students build confidence in public speaking, as they are given the opportunity to perform on stage. We regularly organise showcases at our Students Union which have a different theme and these allow every member the opportunity to perform on the SU stage, this encourages students who have not sung in front of anyone before, the confidence to get on stage and perform. 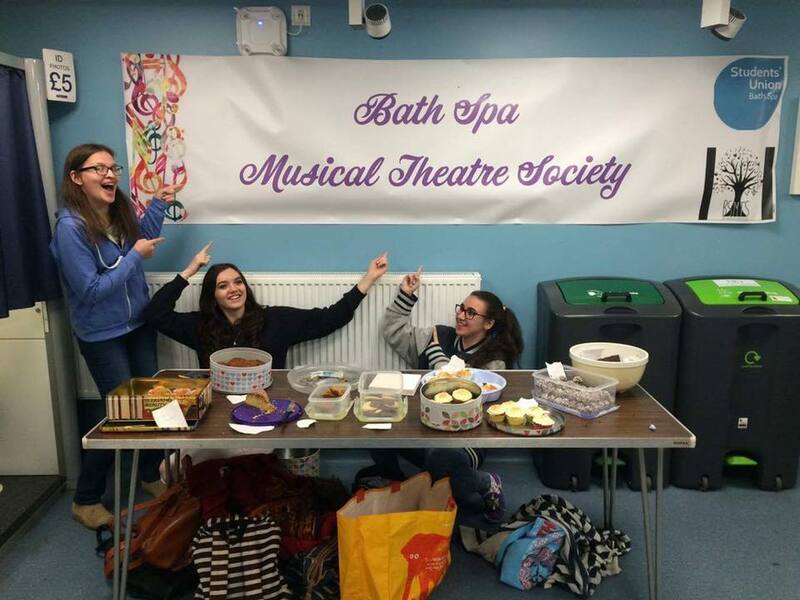 We all love being a part of Bath Spa Musical Theatre Society because of the friendships that are made from it, as well as being able to share a love of Musical Theatre! An action shot from the group number, "There she goes" in "FAME." 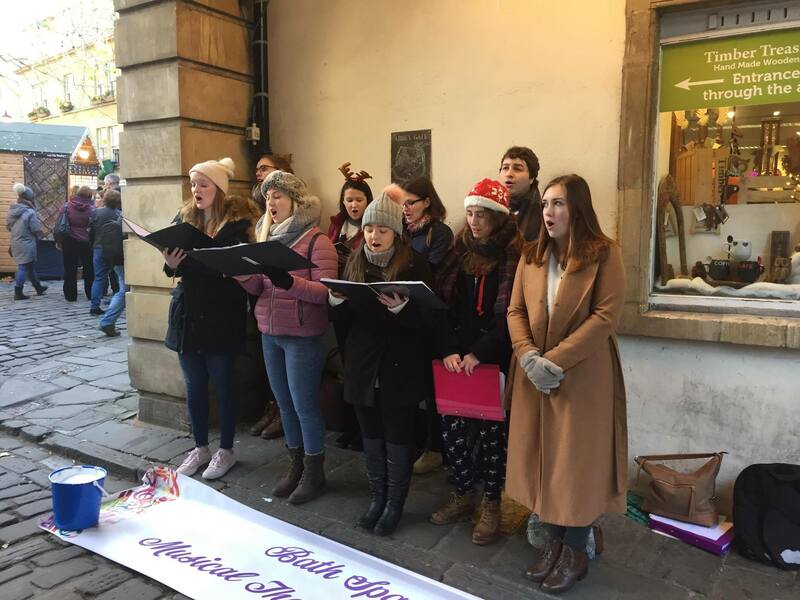 Carolling at the Bath Christmas Market. 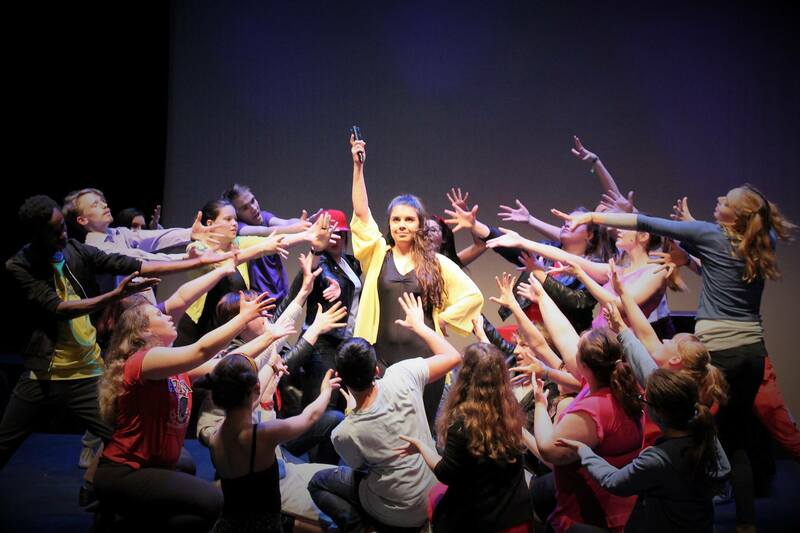 The dance students performing a ballet sequence to "Think of Meryl Streep" in "FAME." The opening number, "Hard Work" from our dress rehearsal of "FAME." 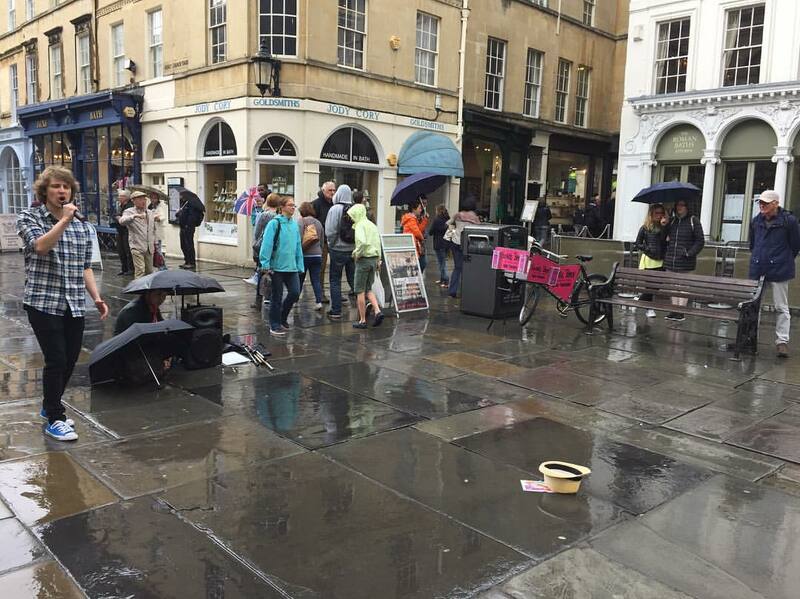 Busking on a Saturday afternoon in Bath. One of our members had to sit underneath an umbrella, to shelter our speakers from the rain. A group photo, from Bath Spa Musical Theatre Awards evening last year. 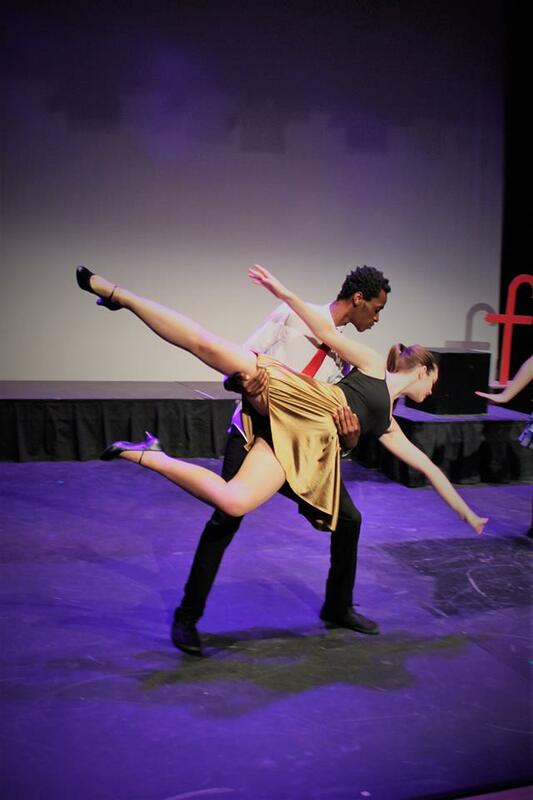 Two of the principle characters in "FAME" (Tyrone and Iris) performing the Pas de Deux. Practicing the duet "Let's Play a Love Scene" in FAME. One of our many Bake Sales, taking place throughout the academic year. After our penultimate show of "FAME", all of our cast are dressed in their graduation costumes. Please help us by sharing this page and also looking at our other social media pages to encourage people to find out about us. Please spread the word about Bath Spa Musical Theatre Society! By donating £5 you will be mentioned on our Facebook page. By donating £25 you will be mentioned in our programme. A copy of this will be sent to your address.